"15 minutes from Manhattan there's a place where even the cops fear to tread." 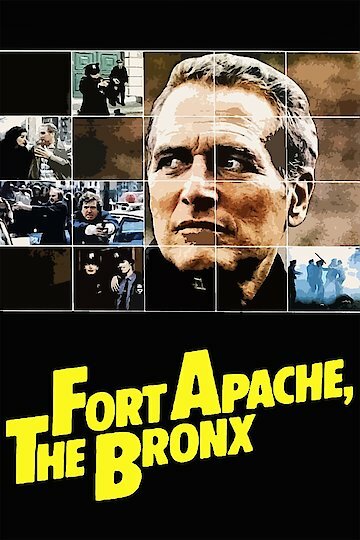 In the mean streets of New York City's South Bronx, police officer Murphy is a veteran working out of the wild, chaotic 41st Police Precinct, nicknamed Fort Apache. Murphy, played by Paul Newman, seems to be cynical and burned out. However, he has maintained a sense of what's right and what's wrong in his 18 years on the force, and his conscience begins to bother him when a new police chief starts breaking rules and violating rights in order to hunt down a cop killer.